What are the benefits of healthy classroom celebrations? Good nutrition is directly linked to better student behavior and academic performance. Healthy classroom celebrations demonstrate a school commitment to promoting healthy choices. It creates excitement for students to try new and different things, including healthy snacks. Celebrating in a healthy way is a lesson that lasts a lifetime. 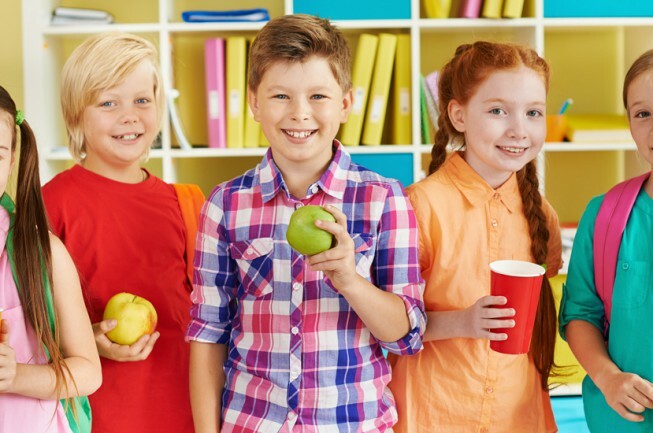 How can parents promote healthy food choices at school? Include nutrient-rich foods from several food groups when sending a snack with your child to school or when helping provide the food for a classroom party. Be creative. Presentation is key — healthy treats will be enjoyed if you offer them in an attractive way and with a fun attitude. Be a role model by promoting healthy snacking and eating at home. Involve your children in planning school lunches and snacks.